Languages: 10 (French, English, German, Italian, Spanish, Portuguese, Dutch, Swedish, Turkish, Norwegian). Timeframe: from September 2015 to present. Team: 21 people, including 1 project manager, 10 translators, 10 editors. 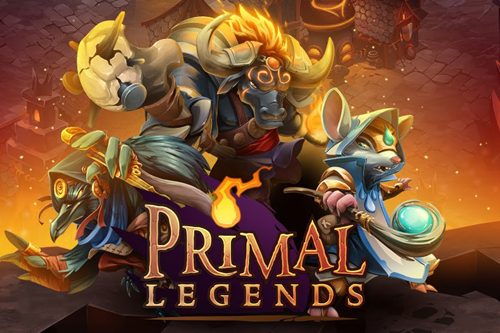 Primal Legends is a cross-platform mobile game with elements from the RPG, strategy and match-3 genres. Its players travel through a magical world inhabited by animals and overcome various challenges. The game has over 150 levels in which players earn experience and items that can be used in tournaments and battles. Users can fight against real people or the computer. Primal Legends is truly impressive for its outstanding graphics and carefully thought-out images of the heroes. Our team received the game’s text in French. We edited the original and then translated it into English. After confirmation, we then translated into the remaining target languages. We formed a permanent team of translators and editors for this project, which continues to work on the game to this day. The game’s producer provided us with detailed descriptions of characters, instructions on how to work with the text, and a build of the game. To maintain consistency in the terminology, we developed a glossary for the game that is regularly updated. The game was first translated from French to English, and then into the other languages. The client company provided detailed descriptions of characters and locations and their appearance, along with access to the game. We use a glossary to maintain consistency in the terminology used, and this glossary is regularly updated. The Kobojo company was founded in 2008. Its headquarters are located in Paris, and it has a development studio in Dundee (Scotland), along with a new team working in Tokyo. Uniting over 70 million players from all over the world, Kobojo uses the most modern technologies in its development process. The company’s aim is to move ever onwards, creating new experiences for its players. The company is young in spirit, and games are its passion. Inspired by the art of creating original games, Kobojo invites players from all over the world to make incredible discoveries together.